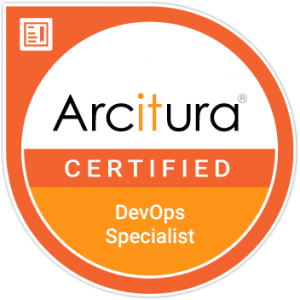 This resource catalog is published by Arcitura Education in support of the DevOps Specialist Certification program. These mechanism, metric and tool definitions were developed for official DevOps accreditation courses. (Note that this site is still undergoing improvements. Please provide feedback or report issues to info@arcitura.com. )To learn more about the Arcitura DevOps Specialist Certification program, visit: https://www.arcitura.com/devops. 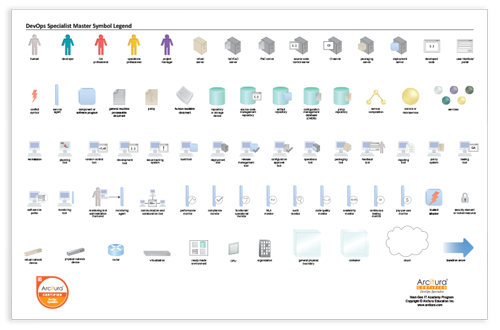 Click on this image to visit the DevOps Module 1 Course page, from where you can download the full poster PDF by clicking on the symbol legend poster thumbnail. 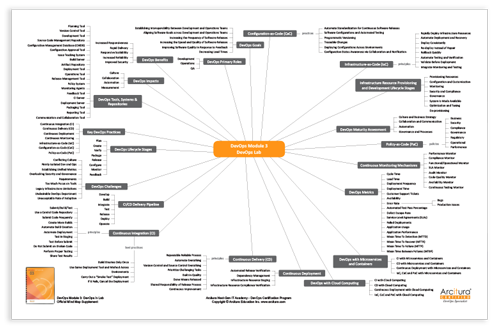 Click on this image to visit the DevOps Module 3 Course page, from where you can download the full poster PDF by clicking on the mindmap poster thumbnail.